Add the ACE400 in every room in the house and you'll still have money left over to throw a big party! About the size of a light can, ACE400 offers impressive sound for its small size and price. Part of our Architectural Ceiling Element, this speaker includes micro-flanged grilles with a very thin trim line, about .15". The ACE Series comes in every price point, from our very lowest like the ACE400 you see here, to our top-of-the line 8" trimless thin bezel Spitfire ceiling speaker. Sold in pairs, the ACE400 is a great speaker for large areas where you need a lot of speakers but don’t have an endless budget. This speaker is rated at 60W with a 3" woofer, so it's best for background music; however, in spite of the low price, customers often compliment us on the very solid sound the ACE400 in-ceiling speaker provides. The Trimless Design is a Nice Touch The Architectural Ceiling Element (ACE) Trimless thin bezel in-ceiling and in-wall speakers are a great choice for new construction or retrofit. These flush mounted speakers are hardly noticeable; that is until they're playing. The micro flange grilles are attached by extremely powerful magnets that stay put for quick and easy installation. Adds less visual impact on your architectural audio installation. What Gauge Wire Should I Use? Wire gauge ratings (AWG) can be confusing; just remember that the lower the gauge the thicker the cable. For runs up to 100 feet for background music, 16-gauge will be fine. If the run is approaching or exceeding 100 feet, we recommend 14-gauge wire. We also recommend using our CL-rated cable that is specifically design for in-wal use. Testing the Sound Quality Your new speakers arrived but before you get out the tool box you want to hear how they sound. 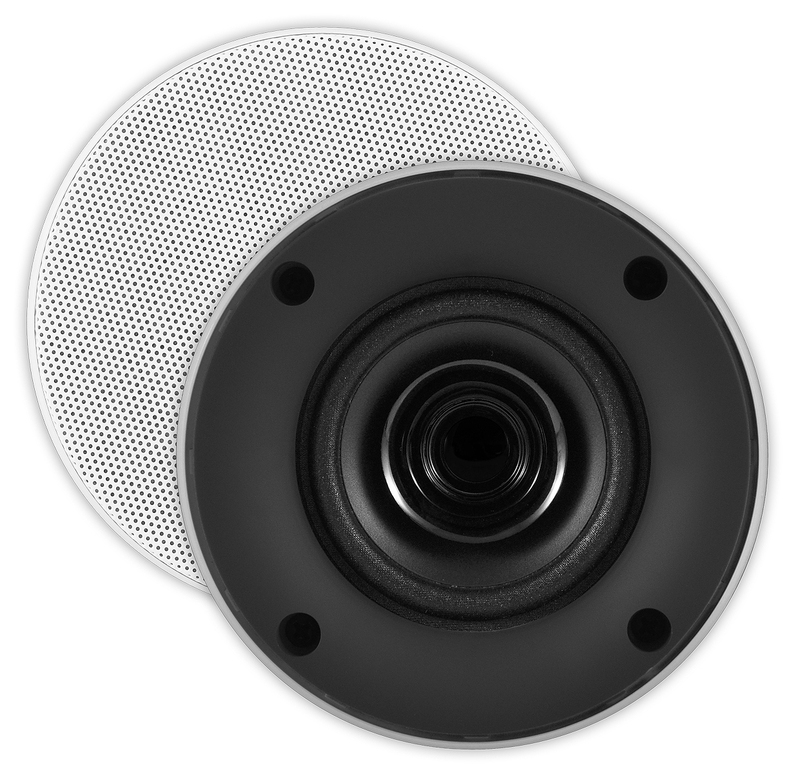 You can test the sound quality but keep in mind that these flush-mount speakers are designed to be used in the wall or ceiling. 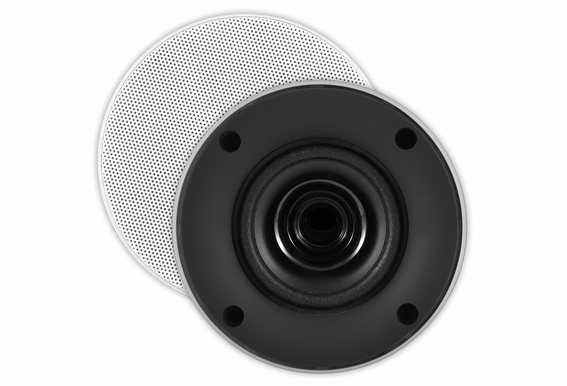 Uninstalled in-wall/in-ceiling speakers will sound weak and tinny because without the proper enclosure (in this case your house wall) the speaker can’t produce the sound pressure level it needs. If you want to try them out, we recommend mounting the in-ceiling speakers into a box of about 3 cubic ft. or larger; or simply mount them in the ceiling and then listen. This will give you an accurate measure of the sound quality. Hi Brooke, Cut-Out Diameter: 4 5/16"